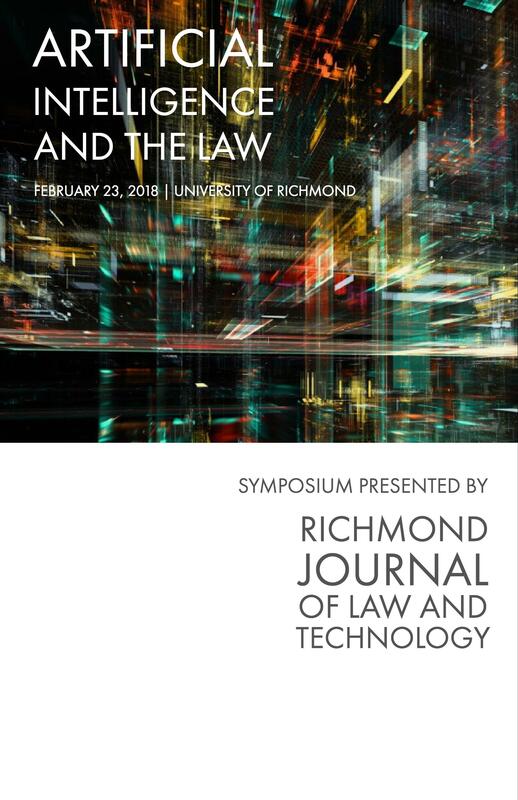 Please join us Friday, February 23, 2018 at the University of Richmond School of Law for the 2018 Richmond Journal of Law and Technology Symposium, “Artificial Intelligence and the Law.” The event will be held in the University of Richmond Moot Court Room from 9:00am to 4:30pm, with a reception to follow in the Atrium. This year, the Symposium will feature nine attorneys speaking on subjects such as cognitive computing, regulatory and ethical issues, and the integration of artificial intelligence into the practice of law. Through our speakers, we will expand and discuss both the practical and ethical consequences of being a practicing attorney in an increasingly digital world. Parking in lots R23, B3, and B5 (Parking Map).